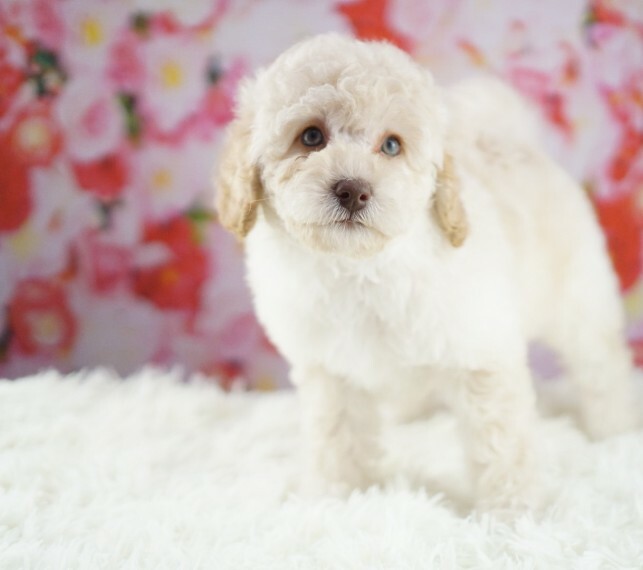 Apricot female Poodle. Mum is Apricot toy poodle, Dad is black and white Miniature poodle. This puppy will have thick and nice hair like her parents so she really need high maintenance, daily brush and 4-6 weeks regular groom.